You will certainly fall in love with France when you go there to teach English, but it won’t be because of the beautiful streets in Paris. 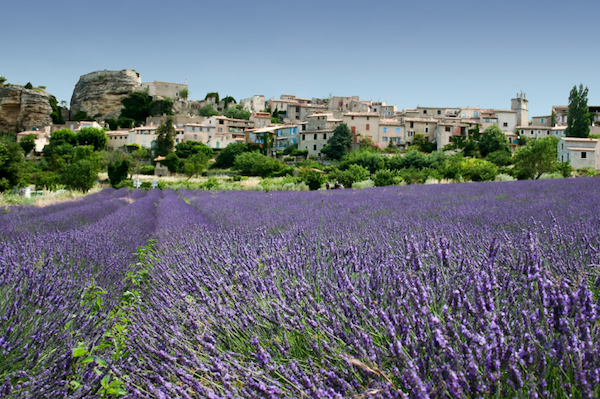 Take a weekend trip to Provence and check out its beautiful lavender fields! 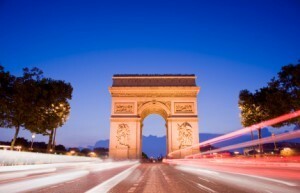 Find out more about teaching English in France! The Alps are the most spectacular mountain ranges in Europe. The towns surrounding the French peaks, Annecy, Chamonix and Grenoble (See picture below), offer a unique experience to ESL teachers in France and neighboring countries. Annecy is popular for its ancient canals, arched alleyways and medieval houses matched against the beautiful snow-capped peaks and surrounded by the sparkling Lake Annecy. Canoes and cruise-boats wind their path through the southwestern edge of the lake during the summer. It is the perfect place to kick back and fuel your body after some tiresome mountain-hiking. Being France’s legendary mountaineering center and a hot-spot for world-class skiers, boarders and climbers, Chamonix has become one of the most enchanting places in France. The World Is Not Enough shot its astoundingly challenged 007 chase on the peaks of Chamonix. The first Winter Olympics were held here and since then, Chamonix has become a hot tourist resort. One of the top attractions is riding a cable car through the mountains and into the caves carved in the snow-capped glacier. A natural beauty. 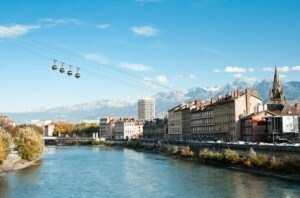 The economic, artistic and educational hub of the Alps is Grenoble. With buzzing streets and majestic architecture, Grenoble offers more variety to the less extreme tourist. Wherever TESOL takes you in Europe*, the Alps are just a step away. *An EU passport/citizenship is required to work legally in most of Europe. Welcome to the heart of France. Elegance, knowledge, art and romance mark the beauty of this delightful city. Paris will exhaust you with its grandeur as you stroll down the streets with inspiration lying on every corner. Walk down the romantic river Seine, experience the sunrise-sunset magic of Notre Dame, join a conversation with strangers at the gardens of the Eiffel Tower, and tour the Versailles, Le Louvre, the surroundings of the Sacre Cuore for intellectual vibes. There are many unqualified teachers in Paris, so taking a TESOL certification course of at least 100 hours will place you at a great advantage. East, West, North or South; Bienvenue to France! The land of all good and bad; glamour and drab, love and hate, contemporary and racist, smart and dull, chic and simple; its French and France that hides a world in them. 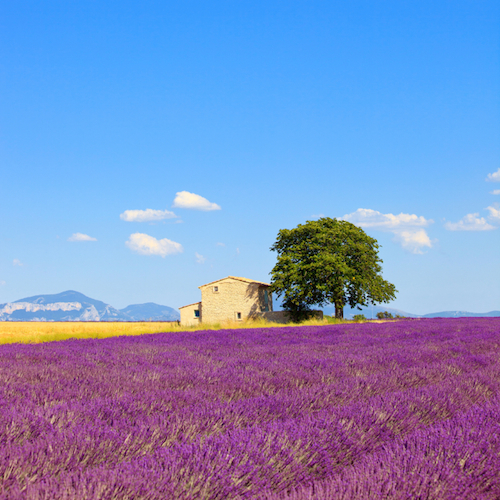 Spice up your visit with the exquisiteness of France to enjoy the fine chow and le vin, majestic landscapes and natural wonders that may cast a spell on you; get ready to fall in love with France. Hot Mediterranean south for sun-bathers, snow-capped mountains for winter enthusiasts and skiers, humid Northwest blowing with the bitter westerly winds, festivals and gastronomic temptations attract the modern arty France. Dwell in the crispiness of croissants, art and romance and the subtlety of French cities this season. Mingle in the South for Roman civilization, experience the 5th-century Celtic infusion of music and mythology in Brittany, majestic snow-capped peaks of the French Alps, cultural and historical magnificence of Côte d’Azur and indulge in the soft-edge beauty of Nice. Normandy beaches, arenas of Somme, neoclassic architecture of Bordeaux await you. With a positive attitude on life, the French are a strange folk with inspiration and revolution changing their lives every year, every day. Note, La Belle Au Bois Dormant de la France (the Sleeping Beauty of France), Bordeaux, is not sleeping anymore; care to experience the renaissance with your own waking eyes? 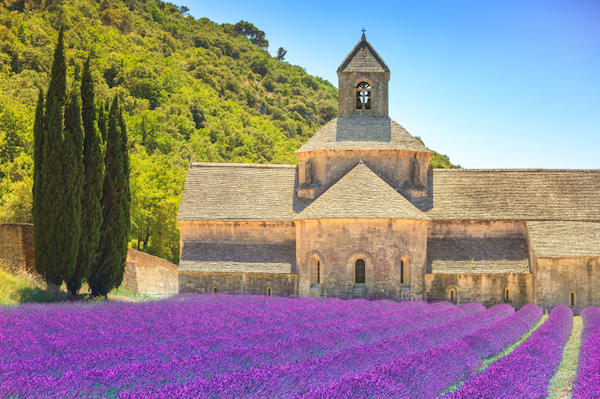 Experience the masterpieces of art, architecture, nature and music this season and fall in love with France blooming at its best! A EU passport is required for working legally in France. As for certification, a 100-hour TESOL certificate is enough for an entry-level position.